The Apple of China, Xiaomi planning to launch it’s next generation smartphone, Xiaomi Mi Note Plus to counter Apple iPhone 6 Plus which is identical to recently launched Xiaomi Mi Note and Xiaomi Mi Note Pro. I think Xiaomi Mi Note Plus will be powered by upcoming fastest Qualcomm Snapdragon 815/820 Processor and will launch by Feb or March priced around $600(Approx. Rs 35,000). According to Leaked on Antutu, Xiaomi Mi Note Plus is identical to the Mi Note Pro will support Single SIM, 4GLTE, NFC, Wi-fI, Bluetooth, LTE Cat. 9 networks with download speeds up to 450Mbps come with a bigger 5.7-inch QHD 2D glass Sharp JDI display with (1440×2560 pixels) resolution offering a pixel density of 515ppi and gorilla glass 3 protection offers you crystal clear wide-angle view from every angle even in bright sun-light perfact for watching movies, playing games and Reading e-books. Xiaomi Mi Note Plus will be powered by octa-core 64-bit Qualcomm Snapdragon 810 processor (quad-core ARM Cortex A57 and quad-core Cortex A53) with 4GB of LPDDR4 RAM and Adreno 430 GPU with 64GB internal memory variant with 64GB expandable memory will run on MIUI 6 base on Android 5.0 Lollipop OS. But I think Note Plus will be powered by upcoming Qualcomm Snapdragon 815 or Qualcomm Snapdragon 820 Processor. Xiaomi Mi Note Plus will sport a 13-MP rear camera with f/2.2 aperture, Sony CMOS sensors(Sony IMX214 with zero shutter lag), with the OIS and dual tone dual LED flash perfect for low light shooting and 4-MP rear camera with large 2-micron pixels for video calling and selfies. Xiaomi Mi Note Plus will be powered by a powerful 30,00mAh battery with sophisticated Quick Charge 2.0 technology offers you the longest battery life ever measures 155.10 x 77.60 x 6.95mm and weight just 161gm. Octa-core 64-bit Qualcomm Snapdragon 810 processor/Qualcomm Snapdragon 815 processor/Qualcomm Snapdragon 820 processor, Adreno 430 GPU. 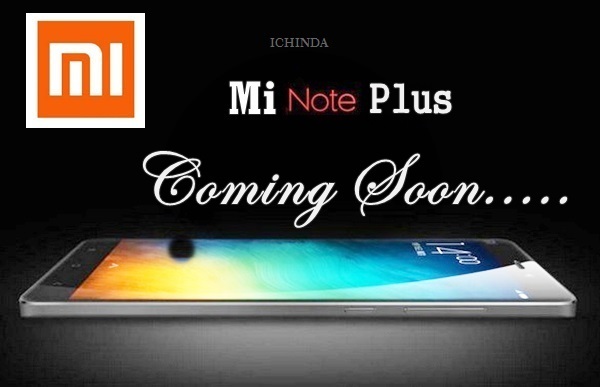 At last few honest word from heart, Xiaomi Mi Note Plus is coming to take on Apple iPhone 6 Plus. What you think? Please be open to give your view.